The activities of the National Science Popularization Day 2006 have been launched on September 16 (Saturday). With the theme of “Prevent Diseases and Preserve Energies”, the event features 105 different lectures and seminars to be held across in <?xml:namespace prefix = st1 ns = "urn:schemas-microsoft-com:office:smarttags" />China in the following 5 days, covering various scientific fields and aiming to promote public awareness of the Life of science. 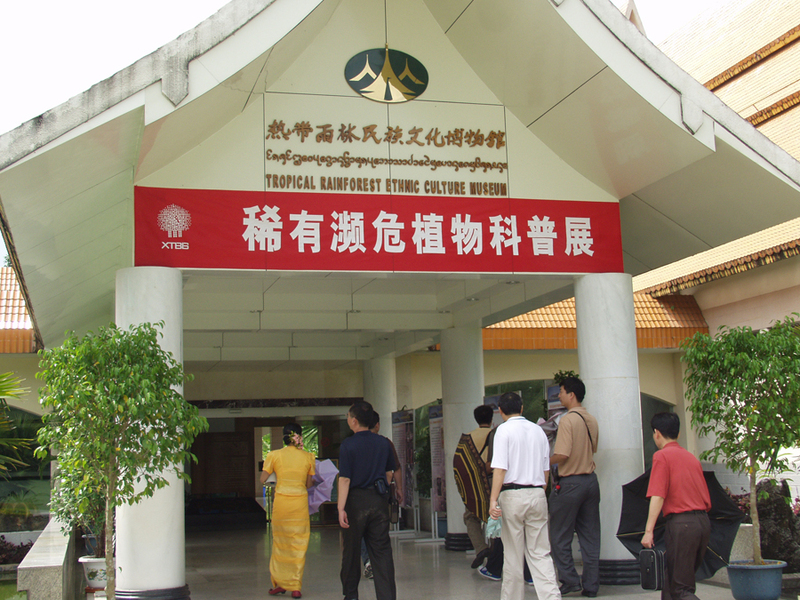 As an important power for public science education, XTBG organized and held an exhibition of “Rare and Endangered Plants” at the Tropical Rainforest Ethnic Culture Museum within the Garden on September 17 (Sunday). 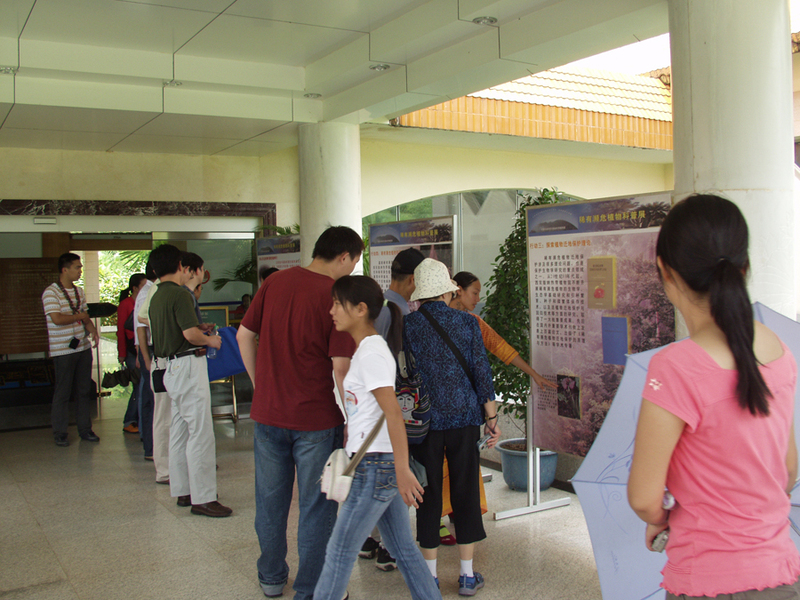 The exhibition attracted many tourists. XTBG exhibited 10 panels with vivid pictures covering the definition and amount of threatened plant species, the significance of plant conservation, etc, in order to increase the public awareness of the interactions between plant resources and human beings, to better understand the importance of preserving plant species.